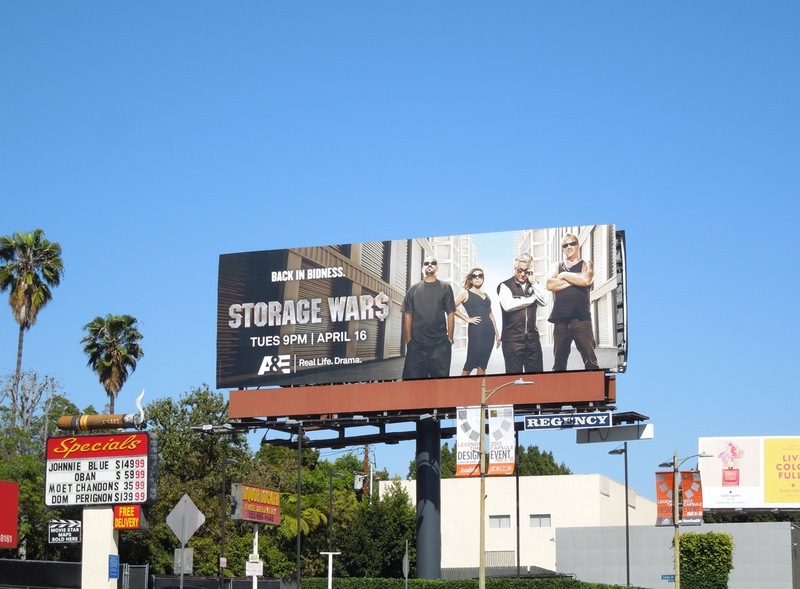 Storage Wars is back for a fourth outing and this time they mean 'bidness' as the competing storage unit auctioneers return to battle it out to find the best hidden treasures. Husband and wife team Jarrod Schulz and Brandi Passante, Barry Weiss and Darrell Sheets are just some of the players striking a pose here for A&E's addictive treasure hunting series. 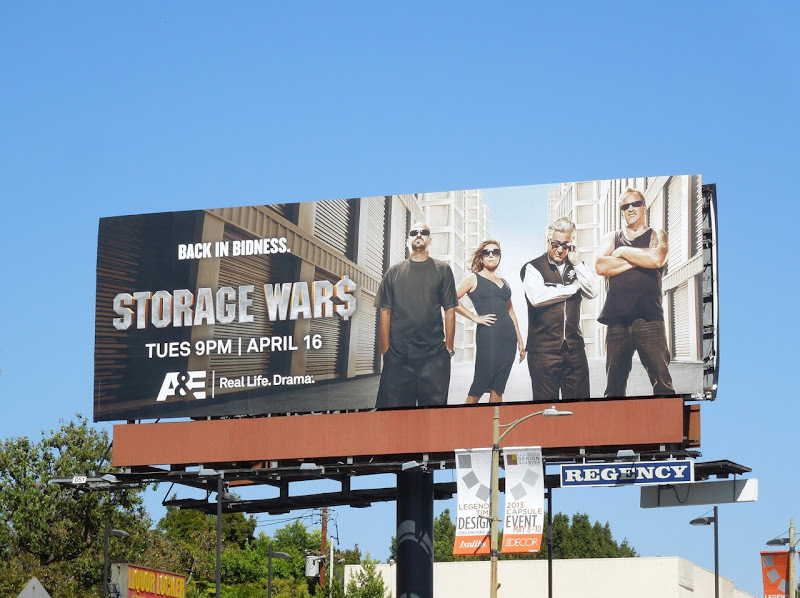 This season four Storage Wars billboard was snapped along Sunset Boulevard at Selma Avenue on April 9, 2013. 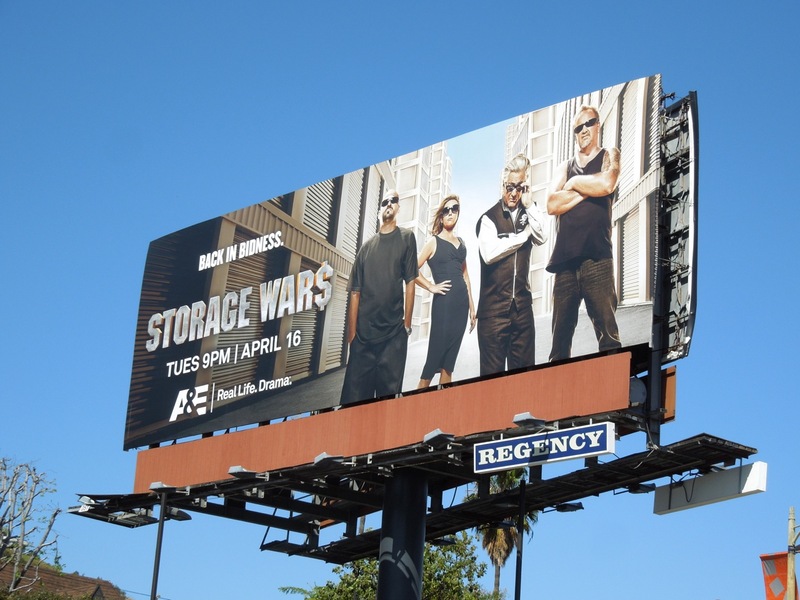 If you're a fan of the show, be sure to also check out all the previous seasons Storage Wars billboards.